Architects can please builders, benefit end-users, and be kinder to the environment, by keeping up to speed. The architect’s responsibility to future- proof homes for inhabitants – at the same time as keeping construction costs down – isn’t always easy. This is certainly a challenge when deciding upon technologies for indoor climate control. 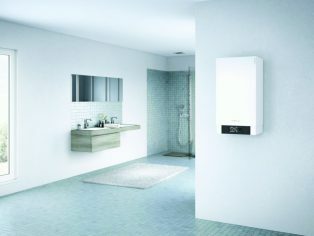 The optimum options for energy efficiency, minimally disruptive mainte- nance, or ease of installation, are changing fast. Space-heating solutions can no longer be unthinkingly repeated from one job to the next without questioning whether they’re still the best. The most popular of all domestic heat generators, gas condensing boilers, are a perfect example of this. Here are five future-proof technical features that environmentalists, end-users, installers and maintenance engineers will all appreciate. It’s not only materials that cost money in house-building, but also labour. That’s why architects’ clients – builders – love labour- saving processes, and why they’d be glad to know that new tool-free push-fit systems now provide a boiler for operation in just five simple steps. By installing the boiler on the bracket of an installation jig, all heating water and domestic hot water pipes are already securely connected to the network without the need for clamps or soldering, and the only threaded fitting necessary is in the gas connection. It’s now also possible to eliminate the need to manually change the gas valve or gas injector if the boiler has to be changed over from natural gas to liquefied petroleum gas using automated controllers. These labour- saving benefits are gained by specifying a boiler with a self-calibrating automatic combustion controller. 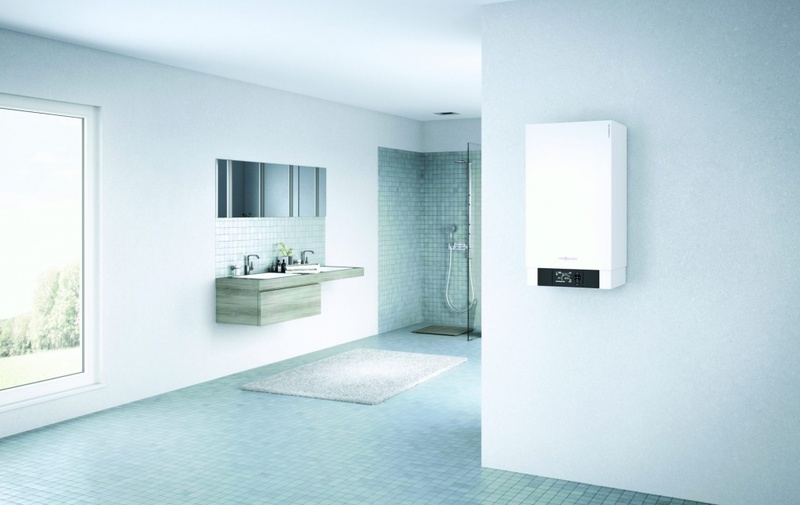 The integral control units of domestic boilers are beginning to give information detailed enough to help control energy consumption. Recent innovations include easy-to-use touchscreens providing contin- uous information about gas consumption and boiler power. Because historic data is easily retrievable, it can also be used to modify user habits and reduce energy costs. This feature ensures optimum boiler performance by adapting to variations in ambient air pressure. This matters because air flow into a boiler is affected by ambient air temperature and long flue runs, and adverse wind conditions can prevent the boiler from running at its desired output. Now there’s a sensor that detects these fluctuations and adjusts the fan speed accordingly, ensuring that the boiler always runs at 100 per cent when required. A boiler’s burner typically remains off after each operating cycle until a minimum time period has elapsed and the boiler water temperature has fallen below a predefined limit. This is known as the pause time. With dynamic pause time optimisation, however, an algorithm evaluates the rate at which the boiler water temperature increases during the switching interval, then matches pause times to this. This results in fewer cycles and pre-purge phases, extending burner runtimes during spring and autumn – and that means lower standby losses due to low average boiler water temperatures; improving efficiency, reducing energy consumption, and lower- ing emissions.